So last weekend, Dan got sick. I had to miss the prom and stayed home to watch Dr. Who. No, you didn't travel back in time. We're talking NYC's infamous Veggie Prom. I know I could have gone on my own, but it's just a part of our relationship. We treat each other the way we'd want to be treated, and I wouldn't have been thrilled if he had gone off to dance the night away while I was stuck home suffering. So I stayed home and we made Double Taco Burgers. Now I'm not sure if this a recipe as much as combo trick. A few months ago, I was shopping with my friend Marta, who you might remember her from such adventures as The Danannie Wedding and Vegan Tuna Casserole. We were checking out a new grocery store in Norfolk and found a series of skillet sauces created by Frontera and Top Chef Masters winner Rick Bayless... and heaven to Betsy,* one of them is vegan. Be sure and read your labels - There are 2 green packets. One is vegan - the other isn't. You can see the ingredients list in this post from The Kitchn. This sauce even uses agave nectar instead of honey for sweetness. So I got one and tested it out. That night we used it to make some Gardein chicken tacos, but this weekend we took it one step further. During my grocery store scouting, I found these skillet sauces in NYC too, and picked some up for occasions just like this weekend... times when we needed something fast and friendly and absolutely fabulous. We needed Double Taco Burgers! During a time when nothing seems to be going right Double Taco Burgers are here to make it all seem a little less something. I mean, setting up the cable/internet in a brownstone has turned out to be a challenge designed for the Macgyvers of the world. We had so many cables and cords running through our apartment it looked like Hoth. Then Blogger dies, taking blog posts and comments with it. SIGH. Yeah - we needed some thing to fill our bellies that wasn't going to lead to a lot of dishes and was super quick. OK - I'm going to say it. I mean I have to right? In your beloved cast iron skillet, heat Olive Oil and Liquid Smoke on a medium heat. Once the Oil is warm, add your Vegan Burger Patties and cook them until the begin to brown and have crispy edges. Then add the Skillet Sauce. Cook the Burgers evenly in the Skillet Sauce until the sauce begins to cook down and coat the Burgers. Put your Burger Buns in the oven to toast slightly.Remove when they are slightly golden brown. Once your Burgers are evenly coated in Skillet Sauce and browned, put one Burger Patty on the bottom half of the toasted Burger Bun and then top with 1 Tablespoon of Daiya and then put another Burger Patty on top of the Daiya. Top the second Burger Patty with a little more Skillet Sauce and a Tablespoon of Daiya. You can toss on some sliced Jalapenos at this point if you like things hot. Put your Burger - including the top of the Burger Bun - back into the oven and bake for around 8 minutes or until the Daiya is melted. Once your Daiya is melted, remove all your Burger parts from the oven. Add sliced Avocado, Salsa and Cilantro and eat! I'd recommend paring with some tortilla chips ( I mean you'll have some salsa left over) and a tall glass of lemonade or iced tea... and maybe a cookie for dessert. 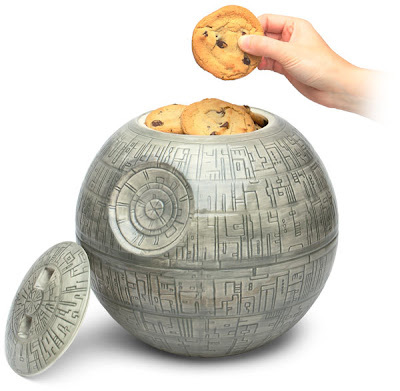 Yes - I lust after this cookie jar on a constant basis. *I'm not 100% sure that is how that saying is used/said but for the sake of emotional integrity - I'll keep it. Annie, I really think you need to just go ahead and treat yourself to that cookie jar. You deserve an awesome house warming gift! BTW, Annie Shannon, you are a much better partner than I! I probably would have left my sick man at home and gone anyway. I'd be all, "see ya, wouldn't want to be ya." But I am a horrible person. New grocery store in Norfolk???? Do tell! B - I thought about it and Dan kept saying I should go without him but it just seemed mean to just leave him to make his own tea. D - In Ghent the Harris Teeter got a revamping of a lifetime. It has a great selection of organic produce now and their international foods aisles are really well stocked and have some good stuff. Oh man. 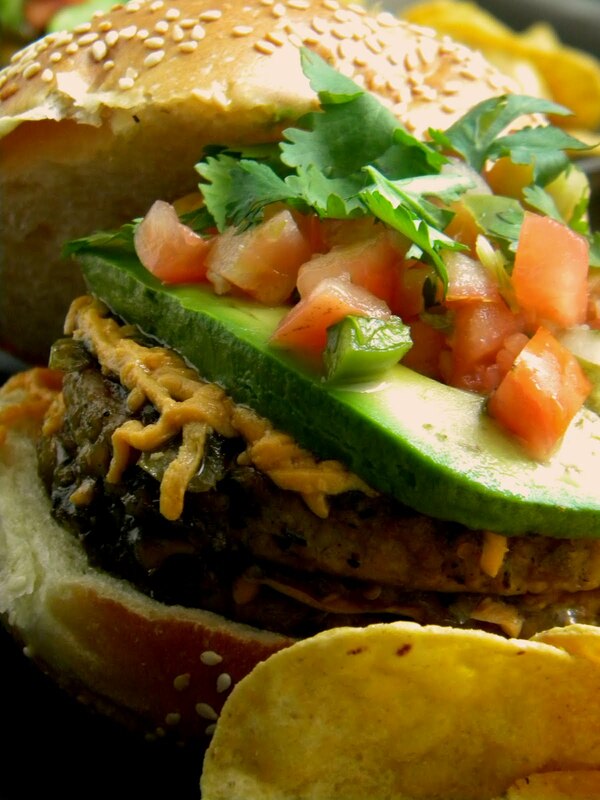 I never would have thought to combine veggie burgers and tacos, but damn. I am SO doing this. This looks so, so good. I bet the seasoning would be good with a chickpea or lentil burger as well.